As an annual tradition, NXNE Saturday’s biggest daytime event was M for Montreal‘s Bruise Cruise. There really is nothing like sitting back on a boat watching the Toronto skyline get smaller and smaller knowing that in a few minutes this boat will turn into dive bar. The cruise started on a chill note with the CRi DJ set which pretty abruptly transitioned to Ponctuation, a two-brother garage psych punk band from Québec. Guillaume and Maxime Chiasson quickly gathered the boats attendees on the main floor for a loud upbeat set featuring tracks from their two self-produced EPs. It was an epic recreation of a jamming-in-the-garage feel on a moving boat. Next on the bill were Dead Obies, a six-piece rap band from the Montreal suburbs who between the large bunch that they are have found a sound and order that completely makes sense. In the true nature of freestyle their names are MCs Jo RCA, Yes McCan, Snail Kid, 20some, O.G. Bear and VNCE, the producer. 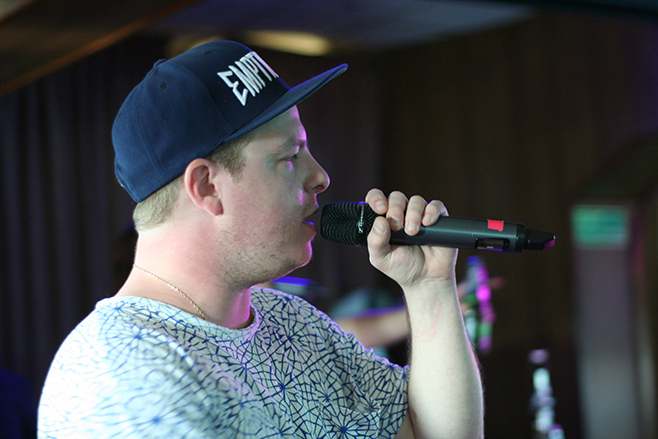 20some crisp rapping style reminds us of El-P and that’s just music to the ears. Dead Obies rap in both English and French, both equally smooth and, some would argue, are overdue for another album (their last album, Montréal $ud, came out in 2013). 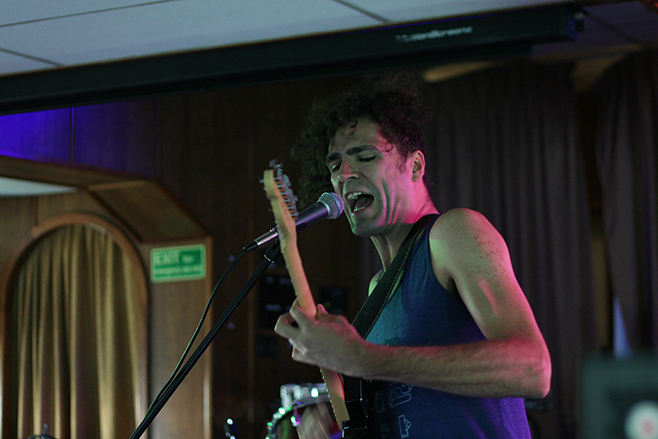 Michael Rault’s live set seemed perfectly fitting in this mini cruise ship. Rault’s voice and guitar filled the crowded space with the vibes of the 70s through the songs from Living Daylight. Something about this whole experience felt like being on side of a Mad Men set watching adults in suits alter their minds accept the adults on this boat were dressed in plaid and vans. 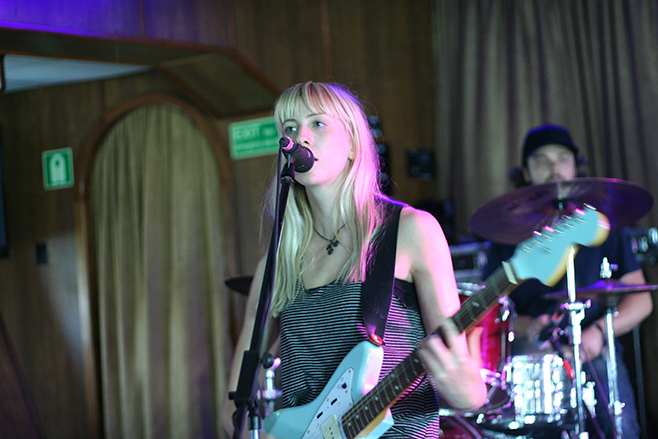 The cruise came to an end with the last beats of The Muscadettes, surf-pop-garage-punk band lead by twin sisters Chantal and Kathleen Ambridge. The duo bring to mind singers like Joan Jett and The Donnas and something tells us those two are no angels either despite the the deceivingly angelic looks.